Summary: Ms. Erickson, as the Project Engineer, was responsible for managing all design, permitting, engineering and technical specifications for construction of a 600-foot vertical oceanfront sheetpile wall with a rock toe apron to protect a segment of storm-threatened county road. 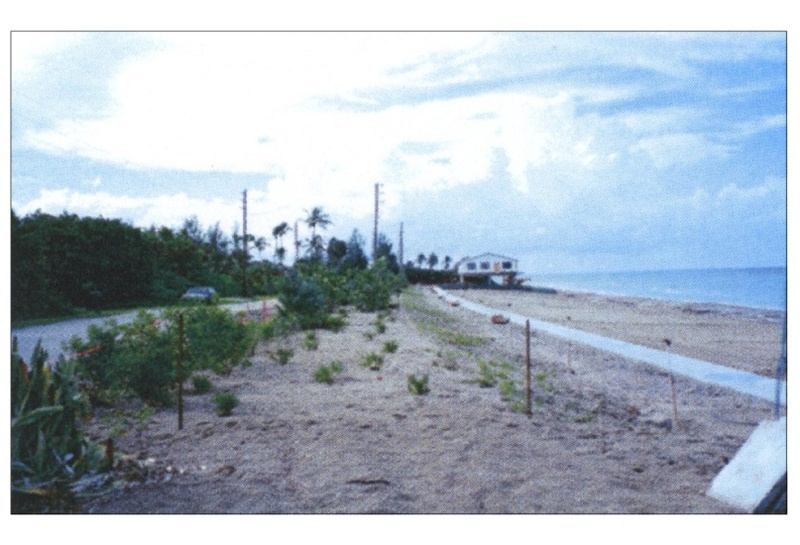 Shoreline data was obtained and storm erosion model simulations were performed to assess a 25-year return period storm event beach/due erosion. A 600-foot steel sheet pile wall was designed based on storm erosion data, geotechnical investigation of upland soils, and scour analysis. 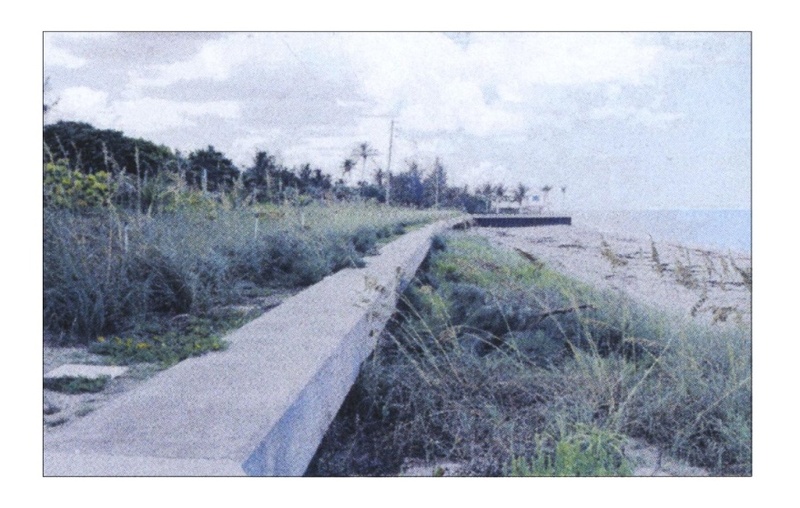 A rock toe scour revetment was designed to prevent excessive scour at the toe of the wall. Environmental studies and comprehensive planning included assessment and design of dune re-vegetation plan and sea turtle monitoring plan developed to comply with state regulatory permit requirements. Daily sea turtle nest surveys and marking were required with construction taking place in early portion of the marine turtle nesting season. Ms. Erickson performed all construction phase services and final certification of the completed project. Copyright © 1995-2019 Erickson Consulting Engineers, Inc. All rights reserved.